I appreciate that these regular "Bird Notes" which have appeared in the "Banner" for more than ten years rely on information being shared with me by a large number of people from the casual observer to the serious obsessive. 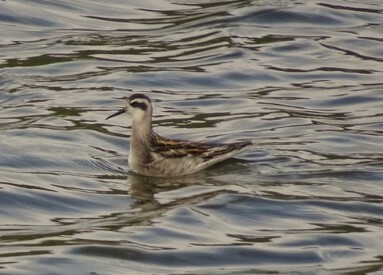 All records from the familiar Robin to the rare Red-necked Phalarope are equally welcome. I am heartened by the fact that that message seems to have been taken up by residents and visitors to Arran alike. For the January Notes I was astonished to receive over 1,700 records. To put that in context that is more than double what I received in January last year and in 2006, the year I started as bird recorder for the Arran Natural History Society, the total number of records that I got for the whole year was just over 2,000. That total has increased each year and for the 2016 annual report, which should be in shops around the island before Easter, I received over 12,000 records. 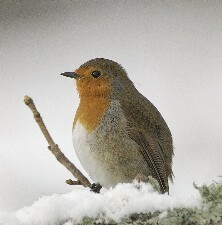 I would like to publicly thank everyone who has helped to build up the bird records for Arran. I would also like to encourage people who love Arran and its birds to further build on this because there are large parts of the island that are under-watched and under-reported. Look at the map. It is based on the records that I received for 2016. The dark squares are one kilometre squares where over one hundred bird sightings were recorded. The palest squares are one kilometre squares where only one to nine bird sightings were recorded. The "gaps" are where no birds were recorded all year. For 2017 let's see if we can have more dark squares and fewer "gaps". 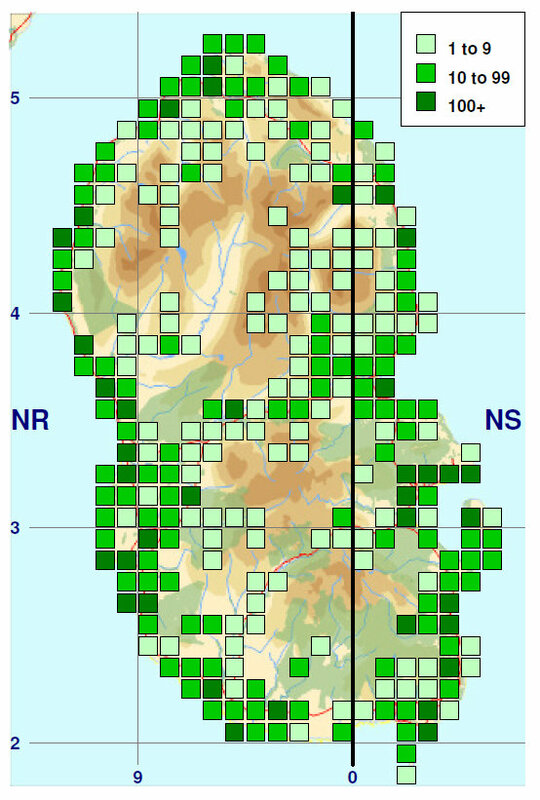 In recent years all the Arran data that I have received has been loaded onto Bird Track. This is an excellent system for storing and sharing bird records. If you are not already familiar with Bird Track, I would encourage you to have a look at their website. About BirdTrack | BTO - British Trust for Ornithology http://www.bto.org/volunteer-surveys/birdtrack/about In Bird Track each Arran record has been allocated to the one kilometre square in which it was seen. All this data has been processed using DMAP Distribution Mapping Software developed by Alan Morton. The base map was produced by Ian Andrews member of the Scottish Ornithogists' Club. The skill and experience of Phil Davis from Gloucestershire in using the software with the base map has produced this map showing the distribution of the 2016 records at the one kilometre square level.